3DMS and display, new prices, new gifts! And always free delivery from 150€! And the list is huge! That’s why we wrote this article. 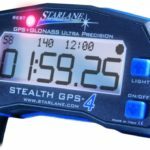 We compared here the 3DMS with 3 other GPS laptimers of the same category (based on their use and price). Much more expensive and hard to use data acquisitions (as 2D) are not compared with the 3DMS because they aim only professional riders. 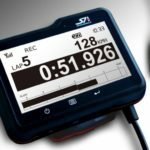 Brand Rider's E-Novation Alfano Starlane SpeedAngle Inc.
3DMS is both a laptimer and a data acquisition, made in France, easy to use that allows to measure, analyze and share your riding performances. Thanks to its 6 axis sensor and powerful algorithm, 3DMS measured lean angle and throttle/brake force are accurate and reliable. Lean angle is the angle of the motorcycle itself and not the average between the motorcycle and the rider position. 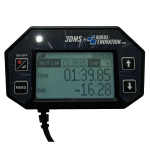 3DMS Display allows to show laptimer, lean angle, throttle and brake force and speed on board. A pack with the 3DMS and its display exists and costs 419€. Display alone costs 129€. See this page. The 3DMS is power supplied by the motorcycle's battery. There is no need to charge an external battery. The 3DMS power supply cable is connected in 2min to the motorcyle. Its current consumption is very low and allows you to keep it powered ON all day long without any risk to discharge your motorcycle battery. It also exists a version of the 3DMS with a lithium battery for vehicules that doesn't have one. 3DMS datas are downloaded on PC and then analysed with our free 3DMS Manager software. The external GPS antenna provides an extreme accuracy to laptimer, speed and trajectories. It is 4 times biggest than internal antennas and could be placed as far as possible of motorcycle metallic parts (as tank) and rider which both cuts GPS signal. All 3DMS parts (except display or command button) are mounted under the fairing, so protected in case of crash. Free 3DMS Manager software allow to view and share embedded videos with overlayed 3DMS data easily as shown on this tutorial..
Track Manager interface of 3DMS Manager software allows to personalize 3DMS tracks already supplied and to create new tracks from Google Earth or a 3DMS record of few laps. You can also send a request to contact@riders-enovation.com. Now inspired by 3DMS ? 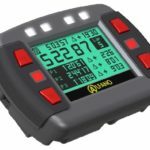 If, however, you still have any doubt that the 3DMS is the laptimer / data acquisition you need, do not hesitate to talk with us and our customers. You can do it via social networks (facebook, twitter or instagram), our contact page and on Rider’s E-Novation track days.